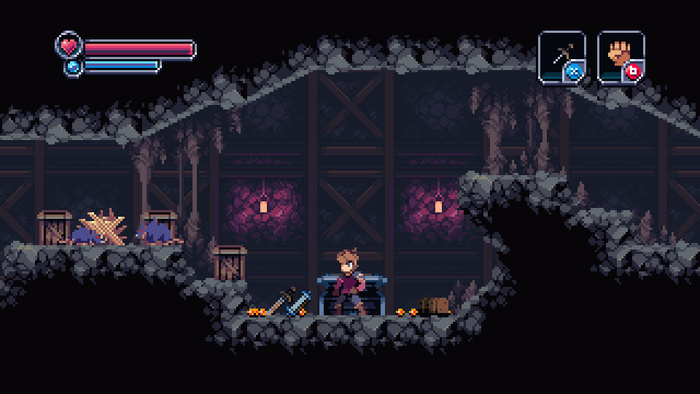 Could we see this pixel-heavy adventure on the 3DS or Wii U? Kickstarter is rapidly becoming the go-to place when it comes to genuinely exciting game development; we've already seen the success story that is Shovel Knight, and there are other interesting examples — such as Buddy & Me and Delver's Drop — waiting in the wings. You can now add Discord Games' Chasm to that list, too. 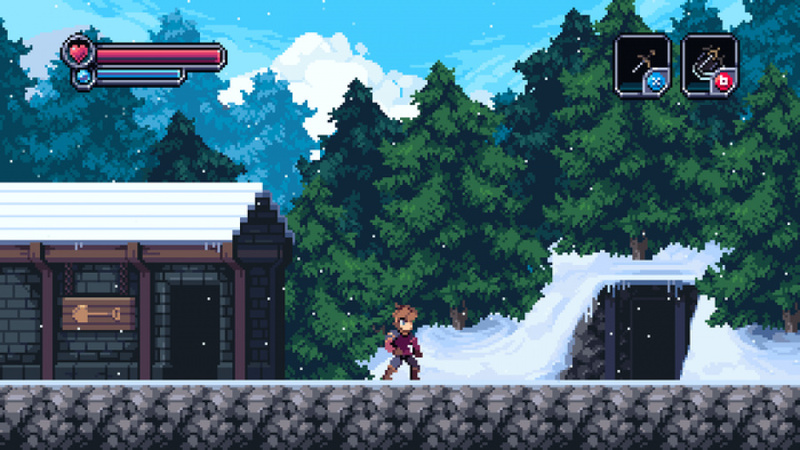 This pixel-rich 2D "Metroidvania" style adventure is currently in development for PC, Mac and Linux, but there's hope that it could come to other platforms, too. We've definitely been considering Nintendo platforms — they seem like a good home for Chasm. The difficulty more lies in getting the game ported, we'd have to hire someone that knows the platforms obviously. We're still very early in development, so estimating those costs right now is near impossible. 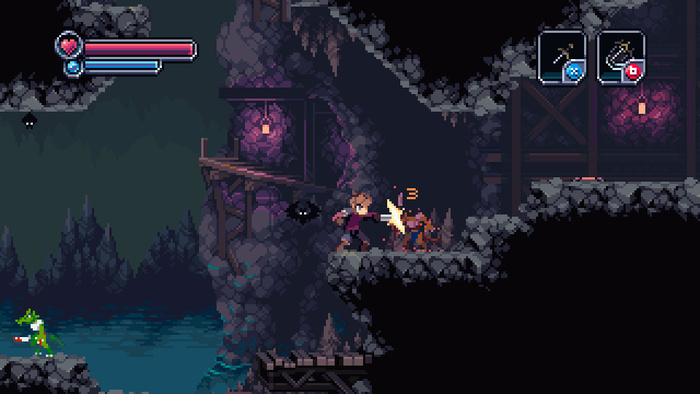 Chasm's target is a lofty $150,000, but it has already raised a third of that total and still has 26 days remaining, so things are looking good. Hopefully it will achieve its goal and that will enable Discord Games to produce other ports. Can you imagine playing this on your 3DS or Wii U? Well it's great that all these devs are excited about bringing their games to WiiU or 3DS, but are any of them actually going to do it? Looks like a cool Amiga type platformer Bitmap Bros style... Sweet! Good fit for Nintendo consoles? Not surprising really, considering how Nintendo practically SAVED the platformer last gen! It looks very nice. If all these games reach WiiU it is going to be a retro console xD. Let's hope these aren't the only ones in it though. Would be a snug fit on Wii U / 3DS for sure. Oddly reminds me of Skyblazer on't SNES. I recognise the art from a fellow Pixel Joint'er. You can check out some of the other art he does here. I think we can rest assured the game's at least going to look great. Looks cool, but it's nothing I haven't really seen before. Kinda reminds me of Cave Story but more focused on melee combat than guns. Reminds me of the VGA days of computer gaming. Well, it LOOKS interesting enough. I think my Kickstarter funds have been used up for the month, though. Yeah seriously. Before NSMB 2D platformers were all but extinct. Now they're everywhere. I'm almost tired of them. Almost. lol. Love the art work in this game. Hope to see it come to Wii U or 3DS. This game looks phenominal if it was to get a 3dizing for 3DS I would definately buy. Im loving the 2d platformers which get the 3dizing. This game seriously just looks so much better than cave story. I hope it makes it. GO DISCORD! GO DISCORD! GO DISCORD! It actually looks like one of the nicest 2D games I've seen, thanks to the quality of the sprites. I would definitely buy this for the 3DS. Dunno about that "procedural generation" thing for the dungeons. The thing that makes Metroid and Metroidvania so good is the well-made levels! Randomize that and you've blown the whole thing. The game looks pretty good, actually. I don't like the randomly generated dungeon thing though. Yeah. Hey Nintendo! After you make the next 3D Mario, how about making 3D Kirby, Donkey Kong, and Yoshi games as well as buying back Banjo Kazooie? I think 3D platformers have been screaming for a saving long enough. See YOSHI'S YARN, coming to Wii U.
Oh, and welcome to the site. Saw your comments over on another thread. This IS the best community on the web. Period. Actually, judging by the look of it, it seems more like a 2.5D platformer like Kirby 64 . But that's probably for the better as a new 3D Mario is on the way and we don't need them competing with each other. Oh, and thanks for welcoming me! As soon as I found out about this game yesterday, I knew it would only be a matter of time before it appeared on this site. It's nice to see games like this and Shovel Knight being made. I was worried that the genre was becoming less popular. Yet another sidescroller and yet again download-only. Because you know: You are a nutter if you want to buy a sidescroller at retail, for 50 bucks! Nooooo, you only do that for shooters and other violence fests (sarcasm, sarcasm)!! But to be honest, this one looks also awesome!